Bordering the Annapurna Conservation Area to th e west and Tibetan Plateau on the north and the east, the Manasalu region lies in Gorkha District to the west of Kathmandu. Basically a trekking area, the regions altitude rises from a mere 600 m to 8163 m, the summit of Mt. 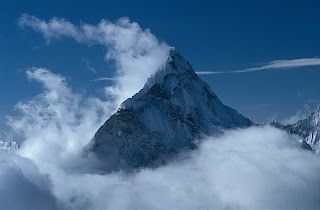 Manasalu - the eighth highest peak in the world. To make conservation a success story the government has joined hands with the King Mahendra Trust for Nature Conservation (KMTNC) and the Asian Development Bank. The Manasalu Eco-Tourism Development Project has been on in the region since 1997.The projects main objective is to deliver tangible benefits from tourism to the local community while minimizing adverse environmental impacts through the development of eco-tourism.The project has proposed seven Village Development Committees, totaling an area of 1663 sq. km in the Manasalu region, to be turned into a conservation area within five years. The area offers a classic setting for trekkers. Visitors here will have the opportunity to experience both nature and culture that would have otherwise disappeared had there been no conservation efforts. The region is full of pristine nature beckoning trekkers to explore more of it. The trekking route in the region follows the Budi Gandaki River before reaching the Larke Pass (5106 m) and crossing over into the Manang District of the Annapurna Conservation Area. As trekkers trudge through the rugged terrain, they can see the towering snow covered mountains to the north. The region harbors a mosaic of habitats for 29 species of mammals, including the rare snow leopard, musk deer and the Himalayan Tahr. 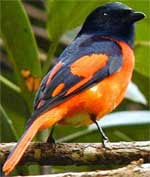 There are over 20 species of birds and three species of reptiles. What provides cover to these fauna is over 200 species of plants, 11 types of forests, and over 50 species of useful plants. More than 7000 people live in the seven V.D.C's in the area. The major ethnic group, the Gurungs, has been a strong attachment towards its traditional Tibetan Culture Heritage. Monasteries and chhortens dot the trekking route. These are the places where festivals and traditional dances take place. After visiting the area, if visitors wish to extend their trek they can easily do so by reaching the Annapurna region in the neighborhood.